charms wave 2! Extra slots open! we now offer to you 30 extra slot for wave 2 (johto/hoenn) charms. comment with your charm list and add up your own total as usual. no need for the weasels password! -all the same charm claims rules, prices, etc, apply. -this is per slot, meaning you can order as many or as little charms as you want per your own slot. -payment will be due saturday, january 21st, no exceptions. your invoices will be posted to the community. -remember these charms have been out for a week now, and some might be sold out! none of them is guaranteed but i will do my best. i also added some nice stuff to sunyshore! which you can order and combine with charms. This is my second year in this community and for some reason there are two figures that have been very difficult to have, or the group buy lose it or I got to late for the sales posts. Anyway, as you can see this two figures are: Porygon- 2 and Girafarig tomy aka "the sneaky b_stards"
Those are the last two figures I need to end my Johto collection. I hope you guys can help me. The circled Turtwig on the paper. I own the Pikachu and Piplup (as well as Chimchar and Starly) so the paper behind them came from their capsules. I USED to own the Turtwig (and it is why I like Turtwig now) but I was stupid and traded it away a few years ago. :c If anyone has it I'd love to buy it off you! Ideally I'd like it mint in capsule, but if you've just got the Turtwig (with no damage and still with his base) I'd be more than happy to accept that, too. I thought I saw one mint in capsule in someone's sales post eons ago when I was still a newbie but now I have no idea whose post it was. orz I'm not sure what to offer for this guy, but I'd reeeally love to get him for $5 shipped to Canada (or less, of course 9_9). WHILE I AM HERE you must see this awesomeness. My boyfriend's birthday was the 16th of January and he is a Wobbuffet lover through and through. 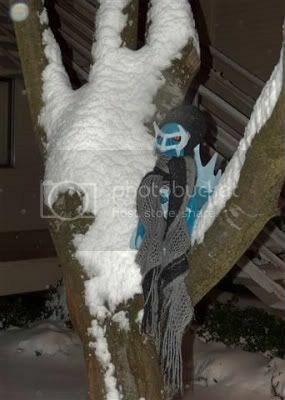 Luckily for him, Wobbuffet has one of the simplest yet most recognizable designs. WHAT DOES THIS MEAN? I'LL SHOW YOU WHAT THIS MEANS. YEAH. 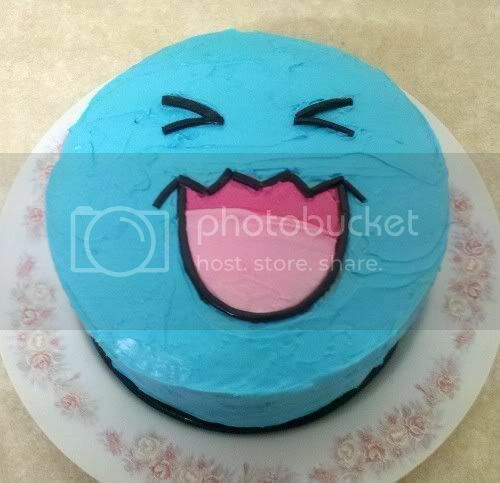 HIS MOM IS AWESOME and I'm totally jealous because there's no way I could make a Wobbuffet cake that awesome. AND THEN IT HAD LITTLE GRUMPY BABIES, SEE? I made your day, I know. You're welcome. Sales permission granted by Gin in August 2010. If interested comment bellow with your location and i will respond with where to paypal the money to. Please also have your PMs unlocked so i can send you a message when they arrive. Once my special mini grail comes in i'll do a collection update :) Thanks and good evening everyone! Delicious Burgery Goodness GA has arrived! I'm sorry that I don't have a photo set for you guys yet, but I wanted you to know it has arrived safe and sound. The parcel arrived on my birthday, hence not having time to lay everything out for pictures yet. Everyone's plush was included, and I spent a little time reattaching all the clips to the plush. All of them are in good condition, one or two have been a little bit played with, but they are all clean and soft and new, with no damage or dirt. Every single one has a brand-new, crisp leaflet showing all the plush in the set. All but one or two leaflets are in the original plastic. I will photograph what I can tomorrow, then post up a payment spreadsheet and picture story. Hey guys I promised a collection post about a month or two ago and here it finally is! Picture heavy and text heavy under the cut! Presenting not one, but two little tangled up babies and all of there cuteness up for auction. XD Originally I made Skitty, but I didn't want her to play by herself so I made an Espeon to go and be cute with her. XD Both plushies can hold small objects (including my cell phone), but I made yarn balls to go along with each of them, that are not sewn down so that you can make them hold anything you want. Also I want to thank of all of those people out there on the community who convinced me to finish skitty, because if they hadn't she would have ended up being just a head with one ear :(. Measurements: Both plushies are 7" long and 4" high. I think my friend is getting me the Tomy EU Oshawott & the Jakks Small Oshawott. I dont know what prices i would get them off you for, and if you send me a note or something ill see if i like it. If you know anyone that is selling or you are selling yourself please note me. Time for that good old one and only auction reminder! 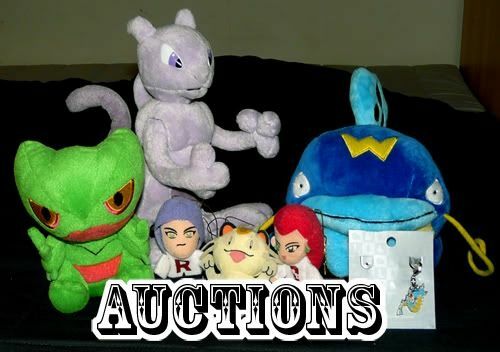 These Quick Auctions end tomorrow, don't let these rare plush get away! Ok so I really have no excuse for neglecting blackjacksales for so long. I apologize for that and I will get right on answering all comments I recieved in that time, as well as working on an update in the next few days! However right now I bring to you something awesome. ALSO A SPECIAL NOTICE If you were the person looking for the tiny Lucario doll that I searched for for several months, I finally found it! I'll sell it to you if you still want it, but I forgot who you were since I wound up deleting the thread since I thought I'd sold it. Please remind me who you are and you get first dibs! but here are the small things i got that i would like to share with you all. 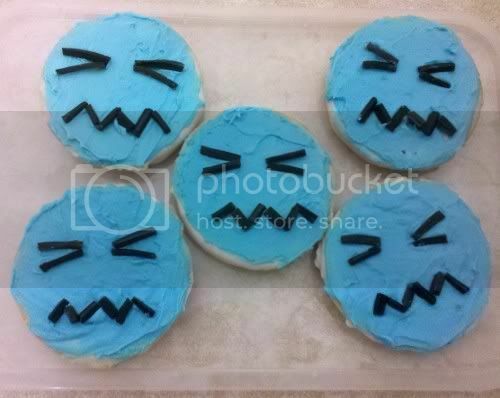 they are buttons and soooo cute!!! i decided to get a whole set because of how cute they are but i think i only want to keep eevee and vaporeon. 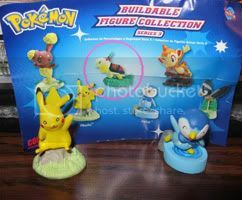 My wants and a very worse bootleg..
OMG, this is for sell at some online Chinese bootleg shop. I think this is the worst bootleg/factory reject I have ever seen! Reminder the in the offers section of my sales is my DX Terry Cloth Torchic Pokedoll. Offers end TOMORROW! Sales Plug :D Updated more of the figures section. Hey everyone bad news The mew plush I thought was I getting got snapped up before I could get it ( bad timing on my part)So I was is anyone willing to a mew plush to I would really like that also if anyone also has the shining mew promo card or if anyone Has eevee evolution pokedolls for sell let me know thanks sorry for the lousy and boring post. Looking for an item for your secret valentine? Well come on over :D I have some very low priced items, fast shipping, and new items! Payments: I prefer Paypal but I'll also accept concealed cash (at your OWN risk).I will take money orders but ONLY from the post office or Wal Mart. NO BANKS! Any questions please ask. I can combine shipping, get more pics, tell you the condition of an item, etc. All sales are final. Items are used unless otherwise stated. Sales permission from Lineaalba. That privilege has been horribly abused. Unless you ARE gonna buy but are waiting to see if you win an auction I am holding, NO HOLDS! NO EXCEPTIONS! If you cannot pay immediately, then its up for grabs! E-checks are ok but I won't send til they clear. No trades at this time, please! Regardless, this is a wants post! I'm super excited! I broke down and bought this so awesome gengar plush!!! What charm set is this from?? This is a Pokemon Center charm..
Help is appreciated!! :DD Love you guys as always! !